Birds of Prey gets a working title and a production start date. Warner Bros. and DC Films seem to be crawling from the Justice League wreckage to start fresh with Aquaman getting ready to hit theaters and Todd Phillips’ Joker movie currently shooting in New York City. Now, Birds of Prey can finally be added to that list. The Margot Robbie-starring film is expected to begin production on January 14th, 2019 in Los Angeles. In addition, it is believed that a casting announcement will be made by the end of this month, but that has yet to be officially confirmed. While the production start date for Birds of Prey is certainly great news for DC fans, the working title is more of a nod for fans of film in general. The working title is reportedly Fox Force Five, which should ring a bell for any fans of iconic Quentin Tarantino masterpiece Pulp Fiction. Fox Force Five is the fictional TV show pilot that starred Uma Thurman’s Mia Wallace. Wallace talked about the show when she mentioned her quick dance with acting, which resulted in the show never getting picked up. The fictional Fox Force Five from Pulp Fiction centered on five female secret agents, who all had their special talents. Mia Wallace was the blonde leader of the group whose talent was the throwing of knives. Other members of the elite team included a French seductress, a Japanese martial arts expert, and an African American demolitions expert. Obviously, the Fox Force Five is a perfect title for Birds of Prey and the five women that will reportedly make up the group on the big screen. Birds of Prey has been a revolving door of diverse women, and even men, in the comic book series. At this time, it is rumored that the film will include Margot Robbie’s Harley Quinn, Black Canary, Cassandra Cain, Huntress, and Renee Montoya. Margot Robbie is the only one who is officially on board for the project and she will also be producing. Robbie has said in the past that she wants the project to be an “R-rated girl gang film,” which sounds promising. In addition, it is believed that Birds of Prey will be a lower budget affair like Todd Phillips’ Joker movie. Birds of Prey will be directed by Cathy Yan from a script that Christina Hodson penned. It will be interesting to see who gets cast in the different roles for the film within the coming months and to see where Suicide Squad 2 and Jared Leto’s Joker movie end up as well. 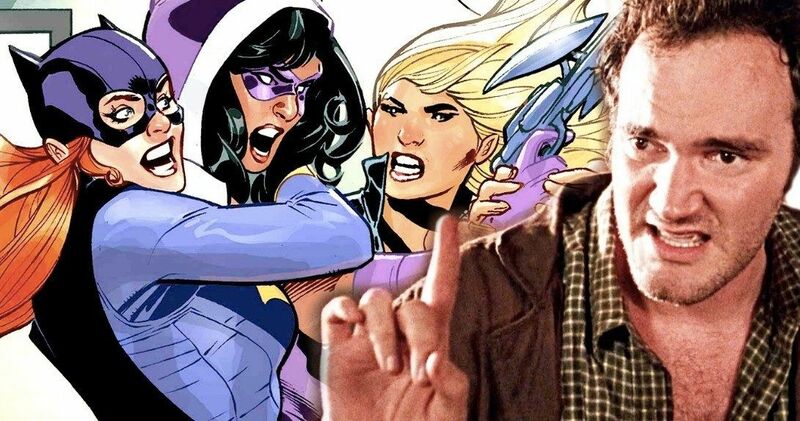 There’s still a lot of mystery surrounding Birds of Prey, much like Todd Phillips’ Joker film, which just recently announced the cast after filming had already officially started. The Birds of Prey production start and working title news come to us from Production Weekly.